If you want to own a battery hen farm, you must follow the right steps. To ensure your success, you will need to create a business plan. This will serve as your key to handling the business properly. You will also need to hire employees, find suppliers, and potential clients. You should be knowledgeable enough to manage a farm properly. If you want to invest in battery hen farming, there are some facts that you should know. Experts say this type of farming is cruel to hens. As you can see, the cages used in egg farming have generated arguments as to animal rights and welfare but if you can do it properly, you may be able to succeed. It is called as such because the hens are placed inside battery cages or laying cages. This is a confinement system that is used mainly for hens. Statistics reveal that battery hen farming provides 60% of eggs that is supplied in the world market. You can make a lot of money in battery hen farming. To ensure success, you must create a business plan first. Regardless of the type of business that you want to put up, a business plan will serves as your key to success. You can hire a business consultant to help you with the plan. Once you have the business plan, you can now present it to potential lenders or banks to secure funding. You will need funding since you will need to secure a property for the farm. It should be situated away from residential houses because even the authorities will not permit you to do it. Inquire about the needed licensing and permits so that you will not encounter any problems in the future. Once you’ve found the perfect location for your battery hen farm, you will now have the site constructed. The battery cages should be placed inside a barn-like structure. You can place as many battery cages as you like as long as it fits the structure. You will need to fund suppliers of the battery cages as well as the hens. You can use the internet to locate reputable suppliers. The next thing that you need to consider is finding clients. You can also generate potential customers on the web or in your local area. 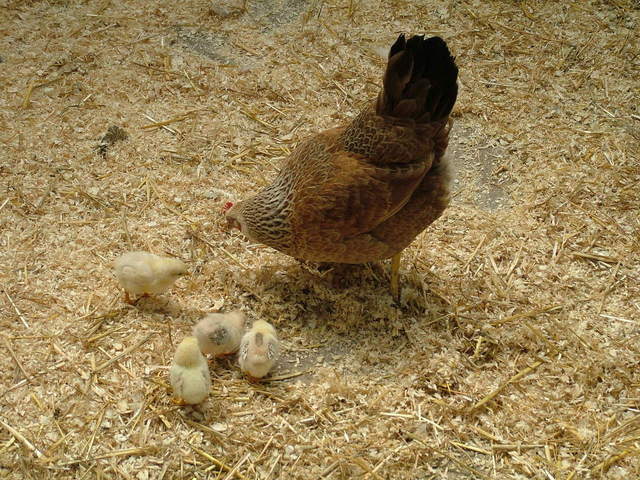 To ensure the health of the laying hens, you will need to hire extra help. This is necessary so that your hens are properly cared for and also, so that you will not get any complaints about animal welfare. This is a controversial business but if you know how to properly maintain the farm, the business operations can flow smoothly. Everything should be accounted for down to the last centavo. You can hire an accountant and other key staff to help you with the other business aspects. Having a team of good and competitive employees will help you attain success. BATTERY HENS SHOULD BE BANNED! IT IS CRUEL AND MEAN TO THE HENS! NO SPACE! NO EXERCISE! NO DAYLIGHT! I HAVE CHICKENS AND I PROTECT THEM! i have a plot of land in nairobi and wish to keep layers, i'm interested in knowing the best breed and the amount of capital i require for the start up structure and the best breed to keep. I agree with Alex Wright battery hen factories SHOULD BE BANNED a cruel indecent and disgusting way to make a buck and a non respected way to make it. I buy range cage free eggs and so do many; more and more are doing the same awareness is increasingly growing and you'll soon be out of business. Get your selves a respectable business, if you're into chicken then do BARN or RANGE. Mauritius island found in the indian ocean, I wish to start a business in production of hens eggs. Thank you for your precious help. Regards Clovis. This practice is disgusting.I don't know how the heck we can trap these hens into a life of misery. I agree with Alex Wright. IT IS CRUEL AND IT SHOULD BE BANNED. Battery farming is absolutely disgusting. How can humans just throw around an animal like its dirt. Hi, am a youth from Nairobi, Kenya and am interested in battery farm system...my main problem is funding n experience . Please help.